We offer this page of hotel recommendations near our facility, for those of you coming from out of town, out of the province, or out of the country. While the following recommendations are for accommodations near our facility, we can offer recommendations in downtown Vancouver or other areas if you wish. Please check out our webpage "Tourist Information For Those Visiting Our Area" for information about our area, tourist sites, restaurants, and recreational activities in our beautiful corner of British Columbia. 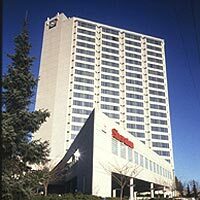 The Sheraton Guildford is a very nice 21-story, 278-room hotel at the corner of 153rd Street and 104th Avenue. It is the closest hotel to our facility, just a couple blocks north of us. They have a very nice restaurant on the premises, as well as a fitness centre. The Sheraton Guildford has a very handy location, right across the street from the Guildford Town Centre Mall, and there's a large, multi-screen movie theatre a few blocks away. There are quite a few restaurants and other services very nearby on 152nd Street. And there's a large community recreation centre a very short distance away. The 80-room, all-suite hotel is very new, having just opened in 2003. It's the second-closest hotel to our facility, about 3 city blocks north and 1 short block west of our facility. The Sandman Inn has a nice restaurant (Moxie's Classic Grill) on the premises, and there are numerous other restaurants nearby. 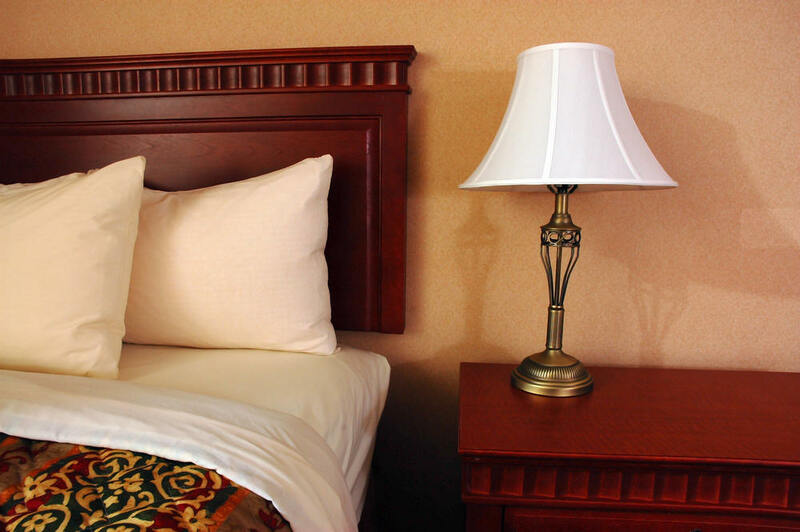 The Sandman Inn is close to Guildford Town Centre Mall and the many restaurants, shopping, movie theatres, and other services on 152nd Street. And there's a large recreation centre a short distance away. The Sandman Inn Guildford offers extended-stay packages. This 86-room hotel was opened in 2004 as a Hampton Inn and Suites, but in 2005 ithe name changed to the Guildford Inn & Suites. It's located just across the street from the Ramada Inn Guildford (below) on the south side of 104th Avenue at 158th Street. It's a short drive (approximately 1.5 km, or just under a mile) east of our facility. The Guildford Inn is very near the entrance and exit to Highway 1, the Trans-Canada Highway, making it quite convenient for those traveling to see us by car. The Guidlford Inn & Suites has nice amenities, such as a fitness centre, a pool, in-room movies, a complimentary breakfast buffet, and high-speed internet access. The 77-room Ramada Inn Guildford is also quite new, having just opened in 2003. It's located just across the street from the Hampton Inn (above), at the northeast corner of 104th Avenue and 158th Street, just off the Trans-Canada Highway. It's about 1.5 km or just under a mile east of our facility. The Ramada Inn Guildford has both rooms and suites. They boast such amenities as a fitness centre, a heated outdoor pool, an ABC family restaurant, in-room movies, and high-speed internet access. While these hotels are the closest and most convenient to our facility, if you wish other alternatives in our area, in downtown Vancouver, or elsewhere in the lower mainland, we can provide you with other recommendations to best suit your needs.